We enjoyed our morning coffee at 3:20 p.m. in the small Silver Kris Lounge fairly near our gate. Unsurprisingly, the food and beverage offerings in the SQ lounge are slightly better than those in the Asiana Business Lounge. 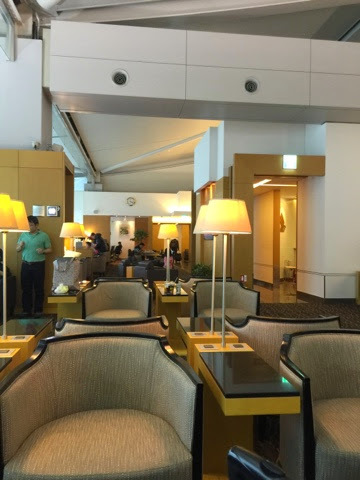 Still, we have good memories of spending time in the Asiana Lounge with Tom and Ellyn when flying home after our visit to Seoul. Next stop is presumably Vancouver, after 10 hours on AC 64.